The 2015 Honda Pilot near Jackson MS is a stunner on the road. It’s gained a lot of attention due to its countless technological innovations and convenience features and still continues to impress years later. The Honda Pilot is the perfect car for active families. Get ready for your next adventure in the Honda Pilot. When you’re on the road, you’ll enjoy listening to the SiriusXM Radio with hundreds of channels to choose from. Do you have kids in the backseat? 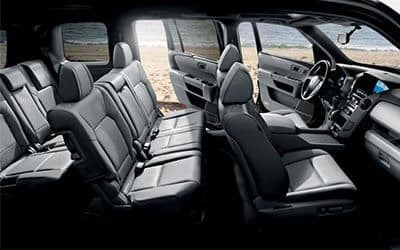 This SUV can seat up to eight people and has tons of technology features to keep them occupied. The Pilot SE is loaded with entertainment features to keep everyone happy and entertained. If you don’t have any kids in the backseat, take advantage of the 60/40 split, flat-folding, 2nd and 3rd row seats. When you fold down individual sections of the second and third-row 60/40 split seats, you will have many cargo and seating options. The 2015 Honda Pilot comes with a long list of standard features including the intelligent Multi-Information Display (i-MID) which comes standard through a hi-res 8-inch intelligent Multi-Information Display. With this system you can find out information including fuel consumption, Bluetooth HandsFreeLink and audio settings. Keep everyone comfortable with the Tri-Zone Automatic Climate Control System with Humidity Control and Air Filtration. This will allow your passengers to choose a comfortable temperature. Contact our Honda dealer in Ridgeland for more information. Honda specializes in safe cars for you and your family. We are dedicated to identifying safe designs like the Advanced Compatibility Engineering Body Structure. This body structure is a Honda exclusive body design that will enhance occupant protection and crash compatibility in frontal collisions. Another great safety feature is the Anti-Lock Braking System and Electronic Brake Distribution. This system uses a special modulator to pulse the brakes to help prevent wheel lockup. Have peace of mind on the road with the dual-Stage, Multiple-Threshold Front Airbags. These airbags will deploy only in the event of a sufficient frontal impact to reduce the risk of upper body injuries in frontal crashes. Honda is committed to providing safety for all passengers. Crash protection is provided not only for the driver and passengers, but also for everyone else on the road. The Multi-Angle Rearview Camera with guidelines will make it easy to back into parking spaces carefully. ThAll 2015 Pilot trims are available with 2-wheel drive or Honda’s Variable Torque Management 4-wheel-drive system (VTM-4) that adds fully automatic 4-wheel-drive capability and features a “lock mode” that can deliver the maximum-possible torque transfer to the rear wheels to aid extraction from extremely low traction or stuck conditions. They are powered by a fuel-efficient 250-hp 3.5 liter i-VTEX V-6 with Variable Cylinder Management (VCM). You will find a long list of standard features across all trim models. 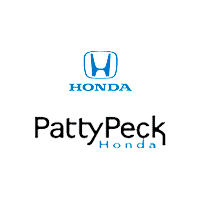 For more information on available used 2015 Honda Pilot models, please contact the team at Patty Peck Honda. We are located conveniently off I55 in Ridgeland.